Maud(e) Westcott was born in Kent County, Ontario on April 8, 1877. She graduated from Ridgetown High School, trained as a teacher at London Normal School and taught in Leamington, Ontario for five years. In 1903, Maude married Harry Burton Clifford, who at the time, was involved in the Western Ontario oil industry. The couple lived in Detroit, Michigan until 1905 when Harry made a trip to the Grande Prairie area via canoe and pack train, lured by the rich potential of the area. Maude joined him for his second trip in January 1906, travelling by train to Strathcona (Edmonton) and overland by caboose for 31 days via the Long Trail, becoming the first white woman to settle in the Grande Prairie area. On arrival, the Cliffords rented log buildings from the local Metis at Flying Shot Lake until their own house and outbuildings on the west side of the Lake were completed in May of 1906. The Cliffords homesteaded, ran a cattle herd, and operated a trading post there. Maude also created an herbarium using local flora and wrote to the Central Experimental Farm in Ottawa, receiving informational bulletins and seeds. The Cliffords’ three children, Hilda, Eleanor, and Harry were all born in the Flying Shot district. The Cliffords’ homestead became the site of many community activities. In 1906, Maude was brought a patient to take care of, making her the area’s first “nurse”. Thereafter, the house and outbuildings became the site of the first hospital, first Protestant (Anglican) church service, first court, and a RNWMP post. Maude also gave classes to the Cree, Beaver, Metis, and white children of the area, earning her the title of first teacher in the Grande Prairie area. The Clifford homestead also served as the temporary home of Presbyterian missionaries Alexander and Agnes Forbes and headquarters of early surveyor Walter McFarlane. By 1916, Harry’s health was failing, the trading post was closed, and Maude returned to her old career of teaching. She was employed by the Wapiti School District No. 2802 and the family moved into two rooms at “Lacombe” Johnson’s house. A couple of years later, they moved into Grande Prairie and Maude taught the primary class and music at Grande Prairie’s Montrose School from 1918 to 1926. Her interest in music is also evident from her membership in Grande Prairie’s first Community Choir and as a leading cast member in “Esther”, the first cantata to be performed. Harry Clifford died in Grande Prairie in 1925 after several years of illness. The following year, Maude and her children moved to Victoria, BC, where she continued to teach. After spending some time in Coleman, Alberta, she returned to Victoria and she concluded her teaching career there in the early 1940s. In 1935 she was honoured with a silver Jubilee Medal. Maude Clifford died on May 6, 1947 in Victoria at the age of 70. Sources: SPRA finding aids (001, 002, 101, 127, 503), http://search-collections.royalbcmuseum.bc.ca/Genealogy/DisplayGenealogyImage?k=b9769cdb-6a70-4fc9-b3d5-c168fa55153f, Herald Tribune 1934 Pioneer Historical Edition, ca. 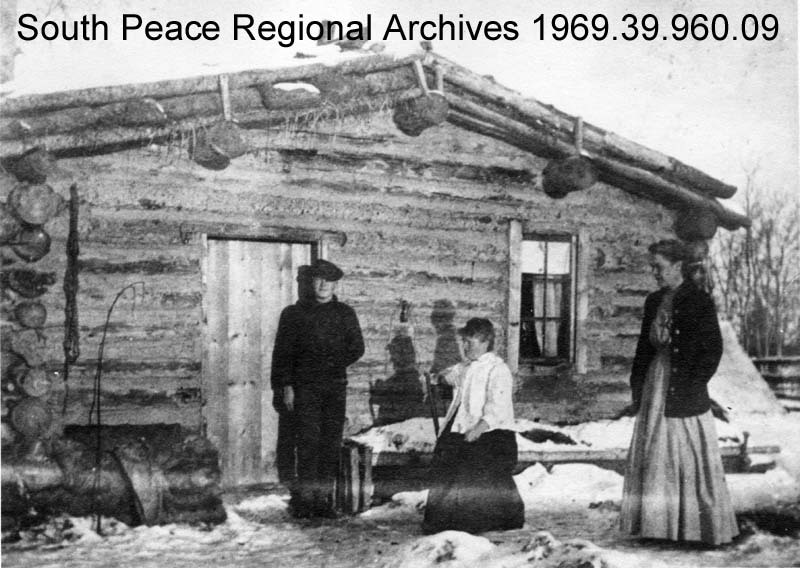 1993 May 3, 1994, Grande Prairie Capitol of the Peace, Pioneers of the Peace, letters to W. D. Albright 1922, 1930.